I haven’t always been afraid of flying. When I was little and going on holidays to the Costa del Sol for two glorious weeks of water-fights and Spanish doughnuts, the flight was one of the highlights of the trip. 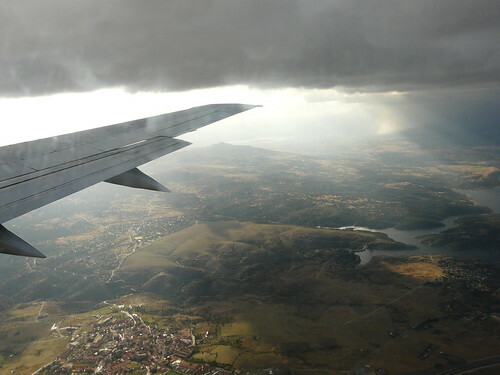 The speed and power of take off made me squeal with excitement and then later, when the plane had reached its cruising height, there were hours of fun to be had spotting leaping rabbits or sleeping dragons in the cloud formations out the window. Gradually though, as I got older and as I travelled more and more fear began to creep in. Actually, that’s not true. There was no “creeping” nor was it gradual. One night on a solo long haul flight to New Zealand at the age of 19 years old, I woke up as we were flying across the Indian Ocean. The rest of the passengers were peacfeully sleeping, the plane was steady and gently humming and for some unknown reason I totally freaked out. Horrific, freak accident scenarios kept flashing through my mind and all I could think about was how far away I was from home. From that moment on I became ridiculously scared of flying. I say “ridiculously” for two reasons. Firstly, I know that flying is statistically the safest form of travel and that my chances of falling out of the sky are teeny-weeny. And secondly because I really did turn into a gibbering idiot whenever I flew for years and years afterwards. I cried, I shook, I stared wildly about me. I gibbered to strangers, I held the hand of stewardesses, I hyperventilated. I was a freaking mess. Luckily, my fear never stopped me from travelling. I simply ignored my phobia when booking flights then, by the time panic properly kicked in, the doors were locked, we were on the runway and I knew I couldn’t escape without being charged with breach of the peace or such like. And when I thought about the situation outwith flight times, I reasoned that a few hours of abject terror were worth a weekend in Stockholm or a week in Kelalonia. Recently, though, I decided that I ought to at least try and ease my fear and so I began to look for ways to ease my alarm at flying. Can’t say I was entirely sucessful as I still hate flying, but I can now fly without sobbing or insisting that strangers tell me their life stories. There was no one thing that made this change possible. In fact, it was only after I began implementing a series of measures that I’ve been able to fly without tears or heavy breathing. There are a couple of visualisation exercises that I do (including counting to 100 during take-off and with each number think of something beautiful or cute or funny); I tense every muscle in my body then relax them, letting myself know that I am in charge of my bodily reactions; I listen for familiar engine noises (wheels up – check, boost off – check…) and, finally, I drink gin. Fizzy tonic is a MUST, Buy single serving cans/bottles unless you are intending on making a lot of G&Ts in a short period of time. Lots of ice makes for a weak drink. Chill your tonic and keep your gin in the freezer to lessen the need for lots of ice cubes. Use lemon wedges not slices. And squeeze the juice into the drink first. Find a gin you like. My standard is Gordon’s but I also like Bombay Saphire and adore Hendrick’s (with cucumber not lemon) for a special occasion. Nice flight shots Wendy! I stay away from the alcohol, not because of the beauty advise, but because I hate using the toilets on board, they are utterly disgusting! Love your photos! I never drink alcohol on flights because the first long haul flight I did, I was horribly sick! So my worries about flying are about air sickness but have flown with someone who was really scared of flying – don’t think it helped when the plane started down the runway, stopped, turned around and then started again! But it is amazing the places you can get to with a plane! Well, increasingly, I’m learning that gin – and only gin – will calm people down. Whatever works, I say. Statistics do nothing to stop that racing mind. 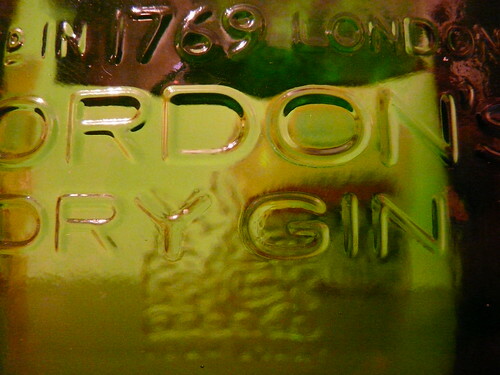 Gin sounds far more reassuring. And if it gives you the clarity of focus to take a shot like those last two, it’s all good. Surely. Then I discovered valium. Took it for a few flights and can now manage without. But your tips sound great – I’ll definitely try those next time. Holler – My friend doesn’t drink on flights for the same reason! Johanna – Worst experience I had was when we were about to land then went back up again. Apparently another plane had been slow at getting off the runway. I was not amused! Sarah Bell – I’ve been lucky in that I’m able to ignore my fear until the flight itself and then I can’ t do anything about it. An hour after it I’m back to myself again. Have you tried a Fear of Flying course. There are some free online ones which really helped me. Lucy – I’m thinking of trying out Brandy sometime too. Don’t like the stuff but would give it a try! 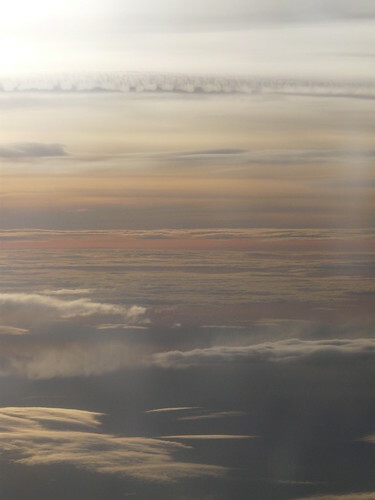 Was really chuffed with these photos from the plane. They usually turn out all grainy and disappointing. Schedule 5 – I’ve never actually shouted but I’ve felt like it! I recite Shakespeare (silently) during turbulence. I struggle to remember it, have to keep returning to the last line and repeating to keep going. It’s a great preoccupation. I think the most interesting thing about G&T is, like mulligatawny soup, its British Colonial beginnings in India. Another odd cross-cultural creation of the malaria zone. You and me both, Wendy. I hate flying though force myself to do it. I was wide-awake for the full 28-hour journey to NZ and totally unable to relax. I always go for a couple of gin and tonics when flying – I don’t care if drinking and flying shrivel your skin, it works a treat for me! Incidentally, I like lime in my G & T’s but couldn’t agree more that a wedge is infinitely better than a slice. Especially if you rub it round the rim of the glass first! Mmmm. went and found an uncrowded car. I much prefer lime in my G&T—in fact, tonic & lime is my “designated driver” drink of choice. Do you knit/embroider/etc? I am not afraid to fly, but for many years I essentially made the same flight, and it was 2 hours long. It got into my body memory (=bahookie memory, if we want to honest about it) that All Flights Should Be 2 Hours. So past that, I get extremely cranky. I find that it helps take a very fiddly knitting project with me, something that takes a lot of concentration. That way, I have to focus on it very hard, and instead of being cranky for most of the flight, I’m only cranky for a minute at the very end when we land before I’ve finished my row. I love flying *touch wood*, though the non-environmental friendly part of it has sure taken away big parts of fun from it, I’m not as relaxed about it as I used to be… That aside I hate long flights and narrow seats, and yes rude flight attendants too. I never drink alcohol while flying, just water and juice – but once on land a well made G&T is my favourite drink! Don’t fret about fear of flying. No matter how intense it is, I’m sure I can help you with it. Please see the video at http://www.fearofflying.com or call me. A good tip I learned and extremely easy: 4-7-8 breathing. Breathe in through mouth for count of 4; hold breath for count of 7; exhale for count of 8. Doesn’t matter how fast you breathe, just keep the count and it slows you down. Could possibly drink G & T while holding breath. Antonia – I know! What’s a day of looking 10 years older in comparison to abject terror? Sara – Wow. Scary stuff. Folk can be lovely, can’t they? Virginia – Lol! I don’t knit though perhaps I should learn. Think I’d like it. Helen – Hee hee. I’ve been there many a time too! Pia – Thank you! Think I’ve been lucky with flight attendants. They always seem so nice. Sally – Shall try that next time. Thank you very much! Mallika – Thank you! And sorry for being such a tease.